Continental knitting instructions are difficult to follow when in the written form. So here I have both written instructions and a video you can watch. 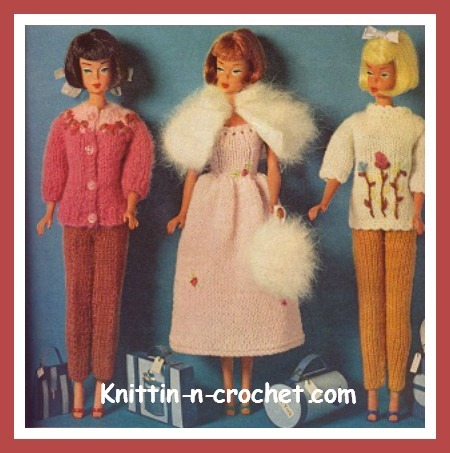 I love knitting continental style as opposed to throwing the yarn or English style. With the continental style you are using your fingers to do all the work, not your arm. Here you will find some instructions you can read and a "how to knit video" to watch so you can see the instructions in action. 1 – Cast on stitches. See cast on video. 2 - Hold needle with the stitches in your right hand. 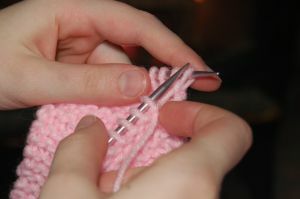 3 – Place yarn on left hand so that it passes over left pinky finger. 4 – Now place needle with stitches back in left hand. Pull yarn to the back of the needle. Keep yarn between left forefinger and the needle. 5 – Have empty needle in right hand, insert tip of this needle into front of first stitch on left needle. Right needles will be under left needle and the yarn held to the back. 6 – With left forefinger bring the yarn over the right needle from left to right. It will be between the needles. 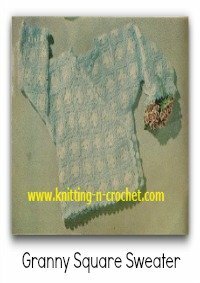 7 – Pull the yarn with the tip of the right needle and pull it through the first stitch. 8 – Slip the stitch off the left needle leaving the new stitch on the right one. 9 – Continue in the above stitches 3 – 8 until you have completed the rows needed. 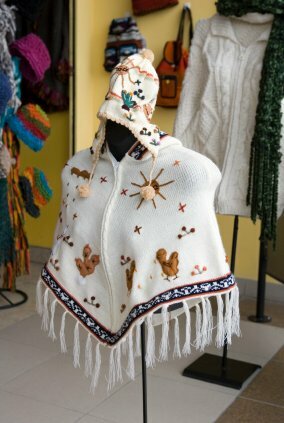 It is great to know different ways to knit because it will often prevent repetitive stress problems on you hands, arms and shoulders. Also just because it is plain fun to know more than one way to do something.